BooBear and Piper are back and ready for another woof-woof of an adventure! 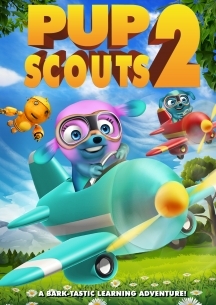 It's time to learn all there is to know about the fascinating world of dogs, so BooBear and Piper jump in their planes and go for a learning adventure guided by their teacher, Scuzzy Bot. Along the way, they learn about beloved dog breeds from around the world.